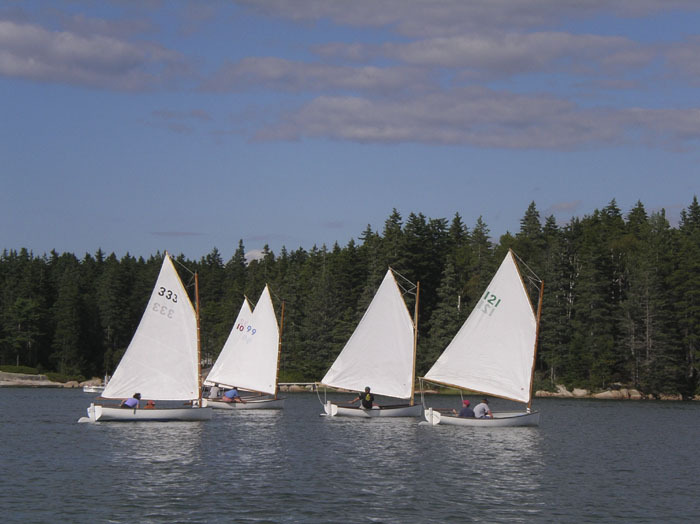 North Haven dinghies are the oldest American one-design class with racing beginning in 1887. The design is based on a boat carried aboard a schooner yacht owned by one of the summer colony's founders. He also brought boat builder J.O. Brown to North Haven. He and his son built most of them until relatively recently. Today new ones are built of fiberglass. Photograph courtesy of Benjamin A.G. Fuller.